The United midfielder once again cast doubt on his future at Old Trafford by making the remark at a news conference ahead of France's European qualifiers against Moldova on Friday and Iceland on Monday. Replying to a question on his future, Pogba said "Like I've always said, Real Madrid is a dream for anyone. It's one of the biggest clubs in the world. "Of course, people always say look at Real Madrid look at Barcelona," he said. "It's obviously a question that Paul Pogba has been asked. 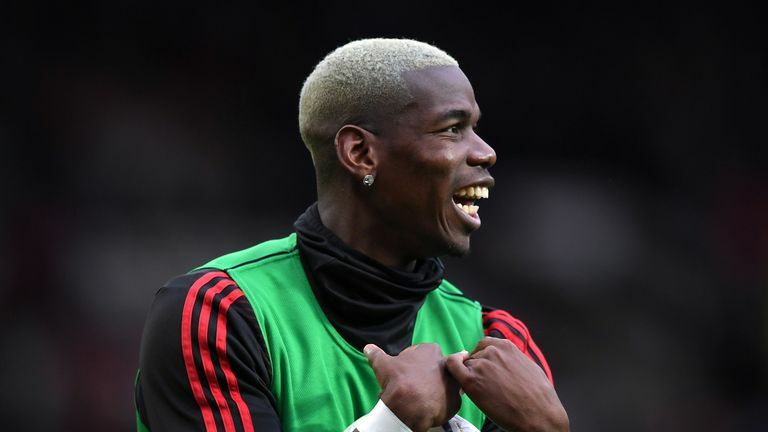 He seems very happy at Manchester United, his performances are suggesting that and at the moment Ole Gunnar Solskjaer is building a team around him. "But that's what players will say at times when they're asked a question. "We've seen it with the likes of Eden Hazard as well. But I think from United's perspective they want him to stay at the football club for a long time and continue to show the form that he's showing."